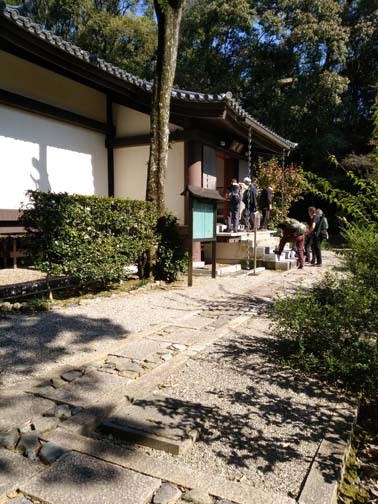 I had never been to the Zen temple Myoanji in Kyoto. 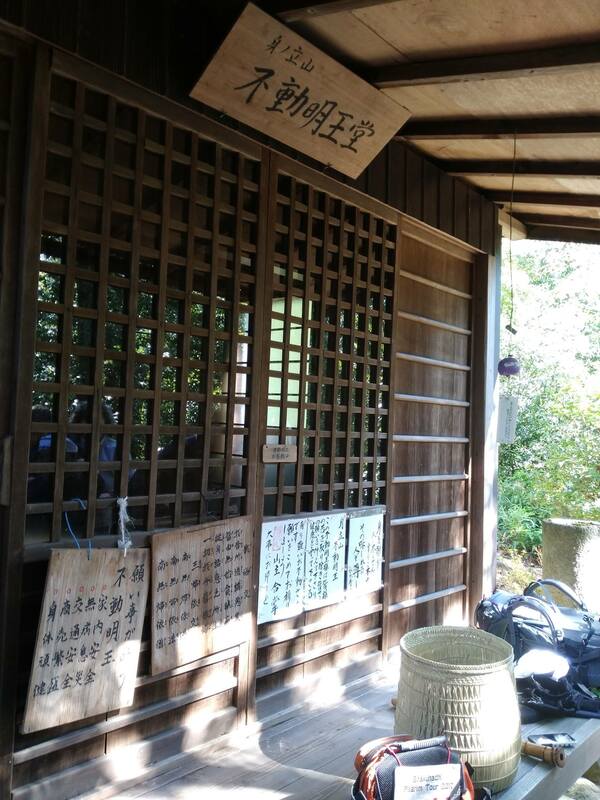 It was on my list of places to visit as a shakuhachi player and a Zen follower. 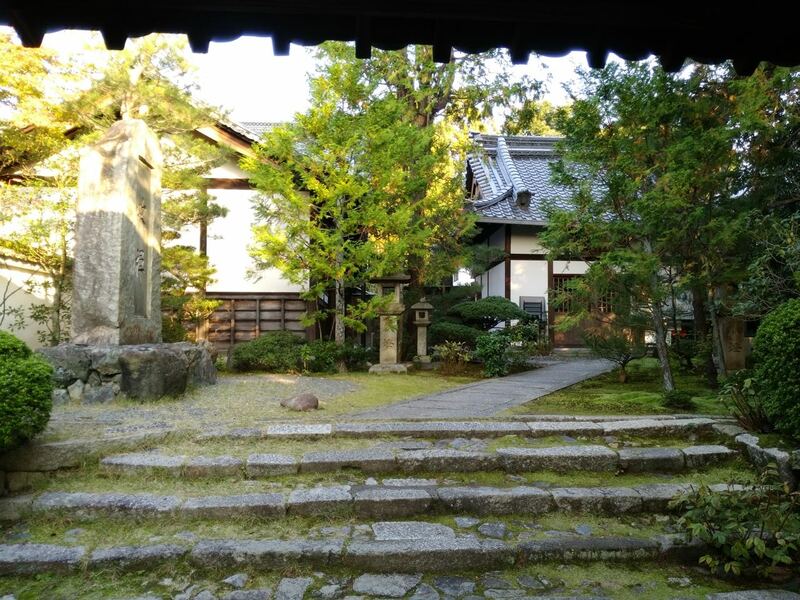 It is considered the main home of the Komuso these days, well at least in Osaka Kansai area. 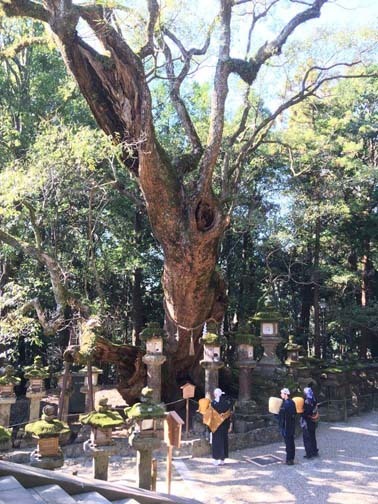 I was told by a Komuso that the kokokuji temple in Wakayama is not really a headquaters per say for the Komuso, even though there are some there and are of the same branch. I was told the kokokuji temple was originally the first place of using the Shakuhachi as part of their practice of Zen but not as Komuso. 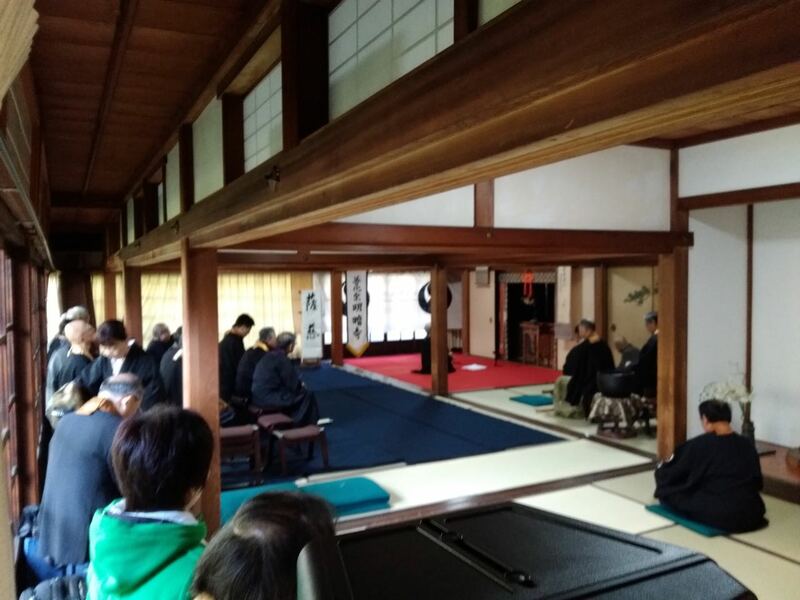 There was to be a shakuhachi concert at the Myoanji temple. I thought it was some type of Komuso meeting concert in full dress but no. Anyway hearing about the event I made plans to attend. 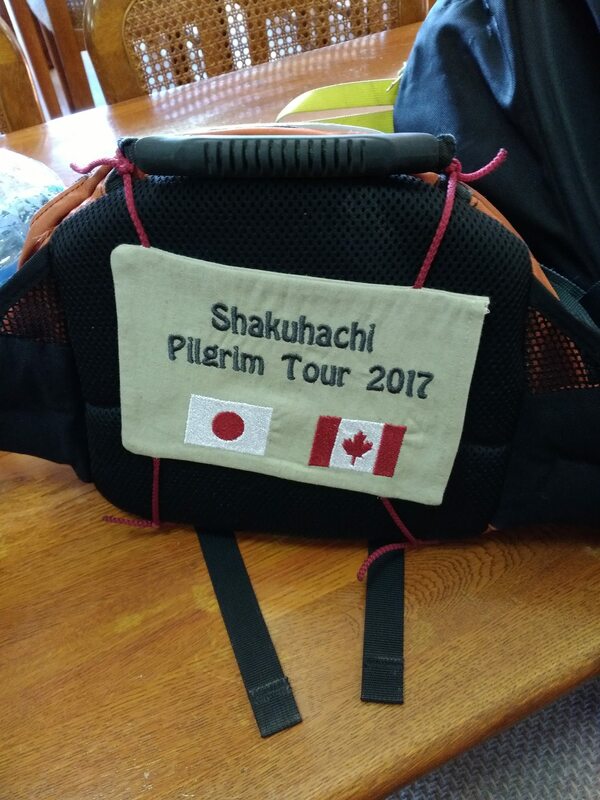 There were members of the Shakuhachi group I have recently started playing with going to be performing. So now I had several reasons to attend. To see the temple, to hear the concert, see a bunch of Kuomusos, support my group. Another early day start, I was up at 5:00. I dislike getting up at five, I dislike getting up at 4:00 even more, so i looked at it as at least it is not 4:00. As a musician I am geared to just going to bed at 3:00 or 4:00 after winding down. Clubs in the US close at 1 or 2. Not so in Japan. The trains stop running at 12:00 so unless you have a car or a place to stay you are screwed! But that is another story. I was up and out early for the event. I got on the road early as there was some issue with the trains in my location. However that did not affect my travel, I was still late and missed the opening ceremonies, but not from missing the train. I made my way to the temple, as I was near I stopped at a local police station to get , confirm directions. They were very helpful and got me going correctly as I was. As I neared the temple I was still not quite sure which, where I it located. I was very close but was not sure, 100% sure. I asked a crossing guard , he was not sure either but pointed sort of the direction or told me to check with another guard on the other side of the street, I was not sure which. I walked to where he pointed which was a parking lot, also another guard. 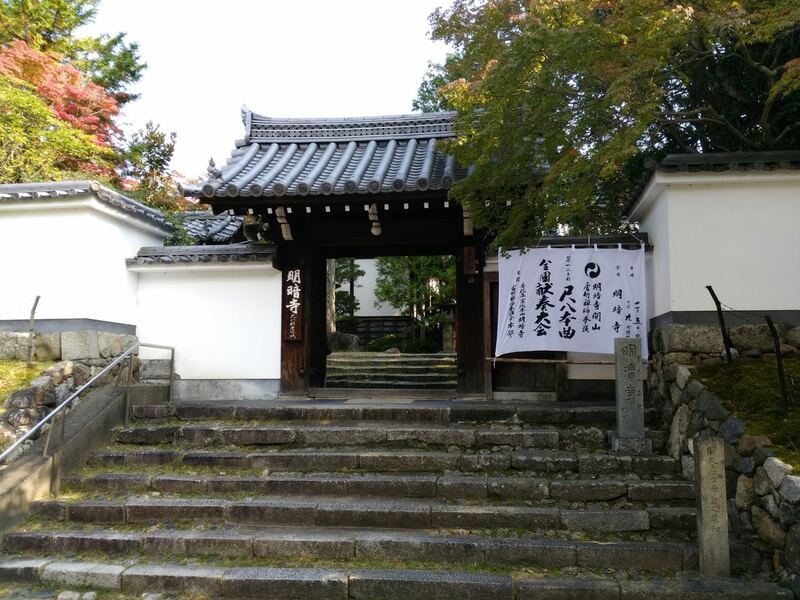 I heard shakuhachi music and followed the sound to the temple. 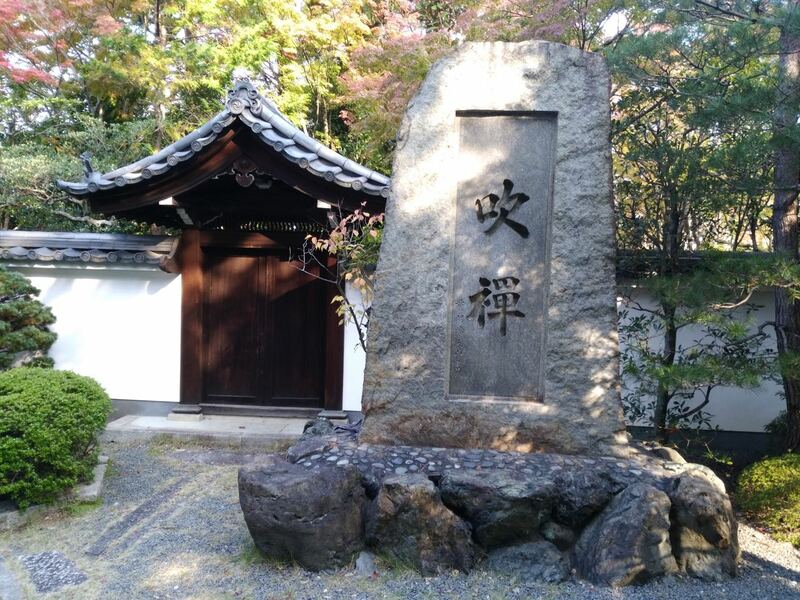 Once there I found the music was coming from a speaker outside, but I went inside the courtyard and say the famous stone sign for blowing meditation so I knew I had arrived. The place was much much smaller than I thought it would be, so this kind of threw me off, but I went inside and say I had made it. I was offered a flyer, i said no, I had one and entered. It was even smaller than I thought. More or less one room, mostly with people waiting to play with only a very few people sitting on the floor to listen. I stood next to the doorway for a while, then went back to ask if this was the place to sit. Yes, I was told so I grabbed a cushion and a floor spot. I had missed the opening but not by much. One of my group members was playing and he was one of the first 3 players. I checked out the room and listened. After a bit I spotted Oota-san from my group. He had made and given me the 2.5 shakuhachi I had. A short while later I spotted a couple of others from my group and they saw me. I sat and listened. A couple of the players in my mind where not that pleasing to my ear. However I wrote it off to their style not their skill. One player seemed to have more breath sound that notes coming from his flute. Not pleasing to me. None of the players had the komuso dress, many in Kimonos and kesas. A few wore suits with kesas and few wore samues. I took all this in and sat and listened. There were about four gaijin also playing and I heard them speak to their Sensei in English. So I was not the only gaijin in attendance, but for sure as common the only one of color. No one seem to care as usual. I was able to take some pictures no one seems to care and others did so as well. However I was discreet about it and had my smartphone set to quiet mode for pictures. I had serious camera the Nikon with me, but did not use it until near the end and a small bit outside. It was not a life changing experience, by sound or vision, but it was interesting. The temple itself was basically the size of a small house. About the size of my Sensei’s house as he told me at my next class. Anyway it was a good day to be out. I went out for a Lunch break to a local Indian shop I passed on the way. I wanted something small but tasty. I order tomato soup and samosas. The samosa were small, the soup was so so. I asked of they had some traditional sauce instead of catsup for the samosa. No they said. disappointing. I am finding it is hard to find that in Japan. Only one place I have been to had the real deal. That place is near my home but not easy to get there and a lot of walking. I have only been once. Anyway. I finished my lunch as was leaving, the guys asked me if I was from India! Ehh? I said no California and went back to the temple. There were about 50 or more players throughout the day, so it was still going on when I got back. Another member of my group was player #48, the last of people I knew. I sat I waited, I listened, I nodded off as did others. One guy was even snoring. I was able to move off the floor on to one of the seats vacated by people who left. That was nice beside my legs being tired it was also a spot in the sun, it was chilly in the temple so that was nice in the sun. Finally it was a wrap for me and I slipped out to head home. The ride home was uneventful, other than at one location a large group of very young school kids with the handlers got on the very crowded car. One poor thing was so tired she was falling asleep standing, the handlers kept trying to hold her up. It was cute, poor thing. I find out later the reason the line was so crowded was there was a bomb scare earlier and all the trians were stopped for most of the day. Missed out on that part by being at the temple. Lucky me coming and going! My Shakuhachi class was the next day. 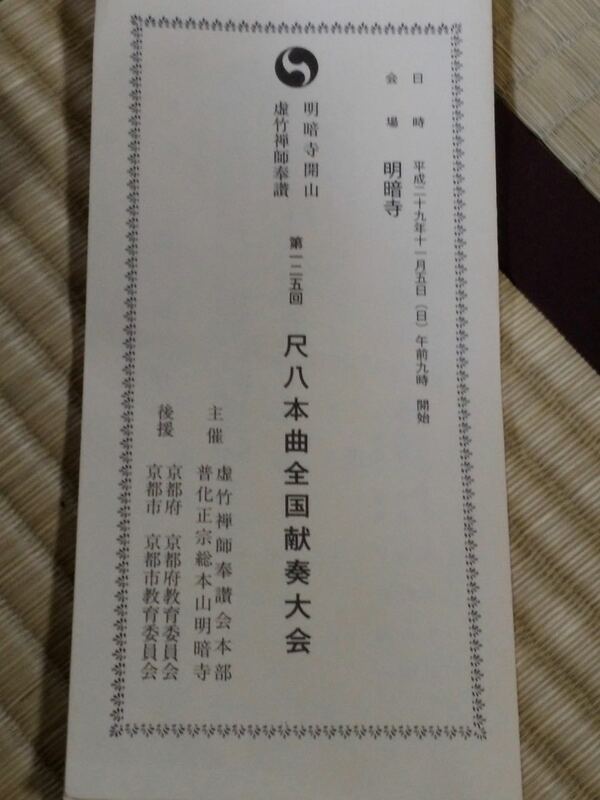 I showed my Sensei the printed program for the concert. He knew most of the people and gave me some info on the temple and groups. I had also asked him earlier about how to become a real Komuso and what could be done? His student had said joining Kokokuji was costly. Sensei said he would check into it. He had some info for me by that time. Another friend of his was a komuso director at Myoanji. It was not that complex a task for there. He could make the needed introductions to this person and arrangemnts could be done. I was also told by my group member it could be arranged. He translated some information that had been checked on by other members. So now armed with a clear info and a path from two directions I should be official by the spring as I had hoped. Yatta! 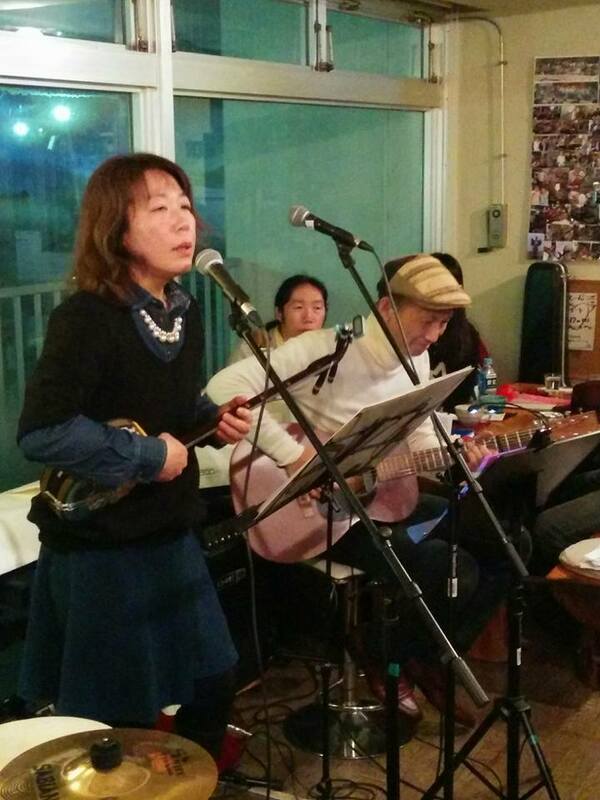 About two years ago, maybe more , I was asked to play at a cafe called Snafkin by my Kyudo sempai. He was going to do a Shakuahchi concert there and wanted me to play bass with him and another Sempai. It was fun. I went by the club on my own before and met the owner. Very very nice people. The wife spoke English, the husband, the master ( Japanese term for the club owner ) only spoke a little. Both also played music, he guitar, sax, a little this and that. She played piano, both also sang. It was a comfortable place. From time to time I would go by on my own for lunch or something. I became somewhat of a regular. I met a lot of nice people through there. Also some people outside of there who knew about the place. Whenever I went by I was asked to play and or sit in for a session. It was nice. The cafe was right next to the bay, you could sit and eat and watch the bay. There were a lot of instruments there you could play while visiting. I got to know some nice people and good musicians there and through there. My picture was placed on the wall. The owner’s wife knew I was not a meat eater, so would fix me something special when I came by to eat. Soon I could just ask for the Fuu special. She and I at times did a song together, like Summer time. She would sing in Japanese and play piano, I would sing in English. I was in a couple of concerts they put on, which also helped me meet people. At the last concert I did for them I was shocked to see the master in a wheel chair. He had had some type of head operation earlier that year or there about, but had recovered. So it was shocking to see him in a wheel chair. I got more details at that time, but still thought it was only temporary. I do not have enough words to express the feeling of comfort the cafe gave to people who went there. I could go eat and practice on something, sometimes the master would help me with a Japanese song I wanted to know. The last outdoor concert he sat in with my group playing guitar even though in a wheel chair. 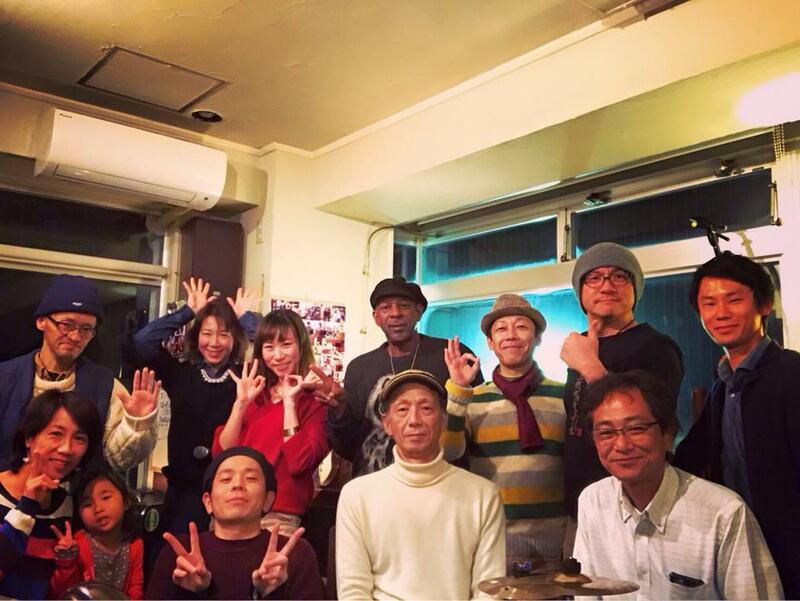 Over the last couple years the shows I did without the Matsuo Blues band were mostly all from the contact I made with the percussionist I met at one of the cafe’s concerts. It really gave me the confidence to be out there on my own again and do something besides just play bass. A friend from working at Aoki Boat school, also a musician and a regular at the Snafkin club sent me a Facebook message which was posted by the master on Facebook. I had seen it when posted, but did not pay much attention to it as it was in Japanese. She sent it to me directly, so I had it translated thinking it must be important. It was saying the cafe was now closed do to the illness of the master. He condition was non-reversible ! I was shocked. It also said please come by if able. I responded to her and said I would visit. As did many just today (that day). My friend was there early and left and I did not get to see her. I was the last to show up. The wife said that was good as it was so busy earlier and crowded, my timing was good as I could spend some time with the master. He was in good spirits and pleased to see me. As other had said his face was peaceful and he looked good even though he could not get out of bed and only had the use on one arm left operational. He was in the cafe , facing the picture glass window looking out over the sea. 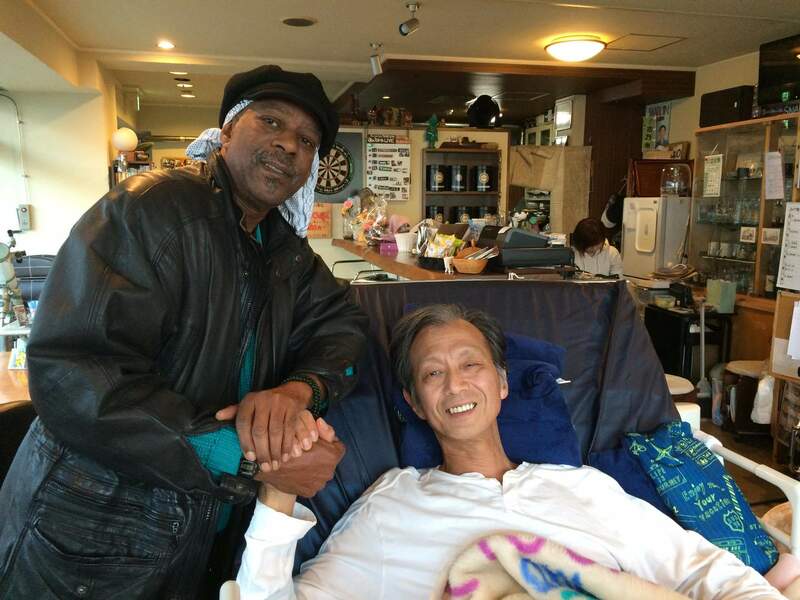 We spoke for a bit in Japanese and through his wife in English. She was smiling and being strong but fighting back tears as we talked, as I am while I write this. It was sad yet we all had to show a strong face as did the master. I told the master how thankful I was to have made contacts through him and the club of the people who came there. This was a common statement by all that came I was told as well as what I read on-line. It is a blessing to know you made and difference in people’s lives and to be told that while living. She said they had planned to keep the cafe for 10 years, they made it for 5.5 yrs. There are other cafe’s around but this was unique. I was planning to go do Komuso training last week in Nara. However, the Universe over rode my plans saying, do what you want , but I am sending a big Typhoon your way that day. Hmmmm, ok I thought, maybe I should change my plan, to stay in Harmony with the Tao. I cancelled. I told this to my Sempai he said, on Thursday I will be hosting Ramos sensei and his pilgrimage group. Not those words, but that was the jest of it. I thought cool, I am off that day, I will go to meet Alcvin Sensei and his group. This was something he does every year. 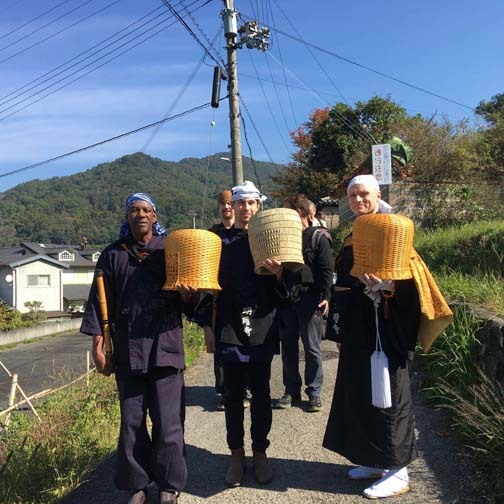 Travel from end to end of Japan checking out Shakuhachi related places, people, things. It was set. The day started out a bit chilly, but the forecast was good. I was up a 5:00am in order to get there on time. 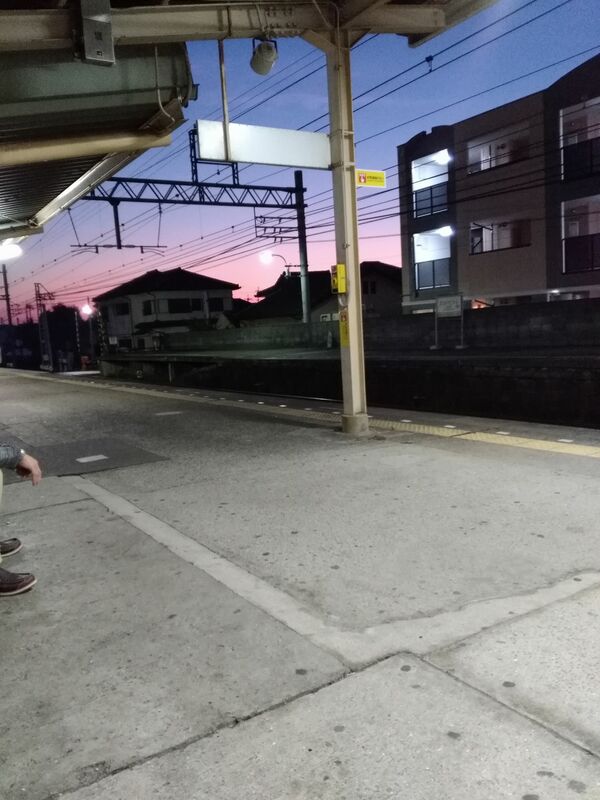 As it turned out they arrived in Nara at 6:45am. No way I could make that, so I went to Sempai’s house. I had a bit of a hassle with the trains. The pass my wife got did not work on JR train line, so I had to pay when I switched lines. Ok, no biggie, I made it to Nara. I got on the bus for the final leg, but did not check the number, just jumped on the bus at the platform I was told. Hmmm, i thought is this the right one? I wanted to ask the driver but the bus suddenly got packed with school kids. So I waited. A bit later some left, but many stayed. I excused myself through the crowd and asked the driver. Is this the right bus to blah blah. Eh? He says. I say it again. He looks at the name, and asks where am I going? He sees the name, and asks me again, he repeats the name and points in another direction, this went on for several rounds. I am getting the idea I am on the wrong bus. Then he says ohh blah blah blah, which is what I said in the beginning and showed him. Ok, a little further he says finally. Sigh! Ok I make it to the stop, I get off and nothing looks like I am expecting, no temple as a marker! Hmmmm. I walk around a bit. I stop at a police station, a cop gives me directions. I am where I need to be, just walk a little. Ok, I walk down the street make the turn and I hear Shakuhachi sounds. I follow, and Success, I make it! Fairly on time. There is one other person still coming , so I am not the last. Introductions are made all the way around. There are people there from the Netherlands, Switzerland, Canada and the States. We chat have tea, and cakes and get organized to leave on our journey for the day. As we gather outside the other person shows up and we are all together and set off. 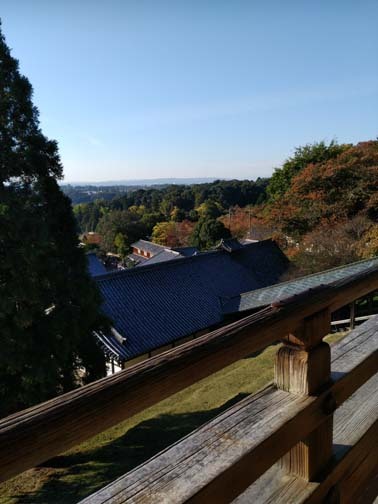 The plan is to hike through the woods, over the hills on an old trial to somewhat abandon forest temple, then into Nara. 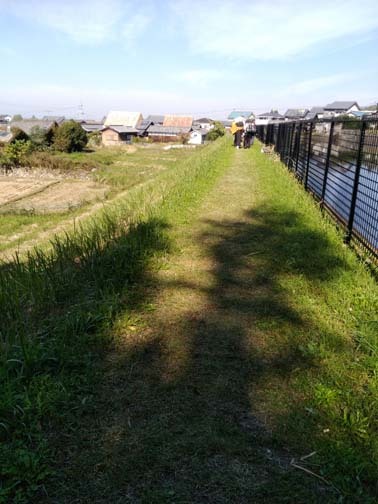 The day is good for walking, not hot, not cold, bit comfortable. I encounter a spirit guide on the way. 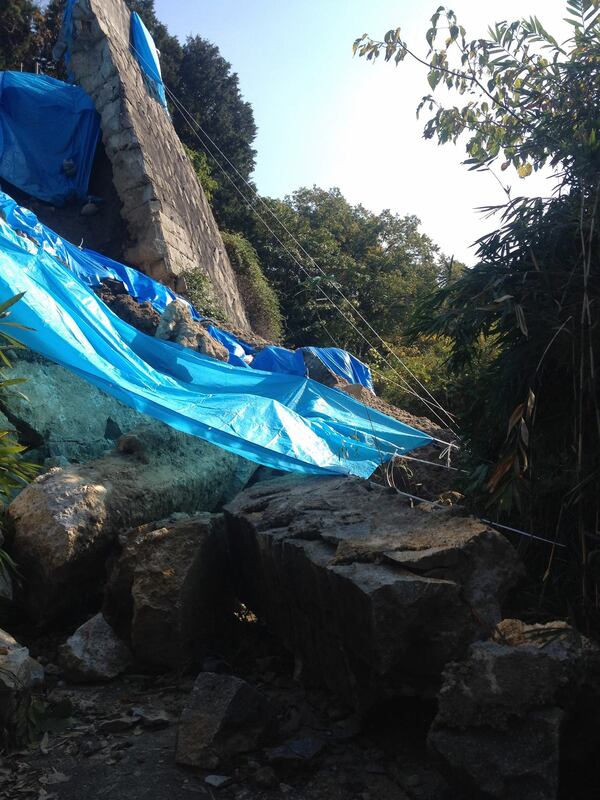 We walk about half way to the temple and find the road is blocked by a landslide from the Typhoon. We turn back and take another trail. We make it to our first stop, the temple. Many of us who dressed warm un-layered the extra clothes. 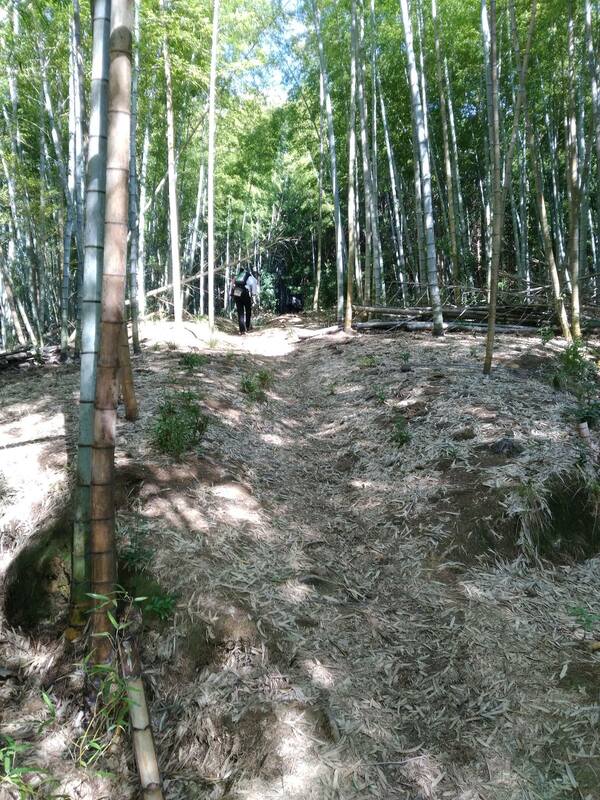 A bit of a chat and we are off through the bamboo forest, over the hill and into Nara. Our group is about 10 strong. Everyone is chit chatting and enjoying the hike. Talking about Japan history, Zen, shakuhachi, this and that, that and this. We make it to our next stop, another temple. This one is fully functional and open, one has to pay to enter. Not much about $4.50. Clean well-kept, nice toilets, clean grounds. 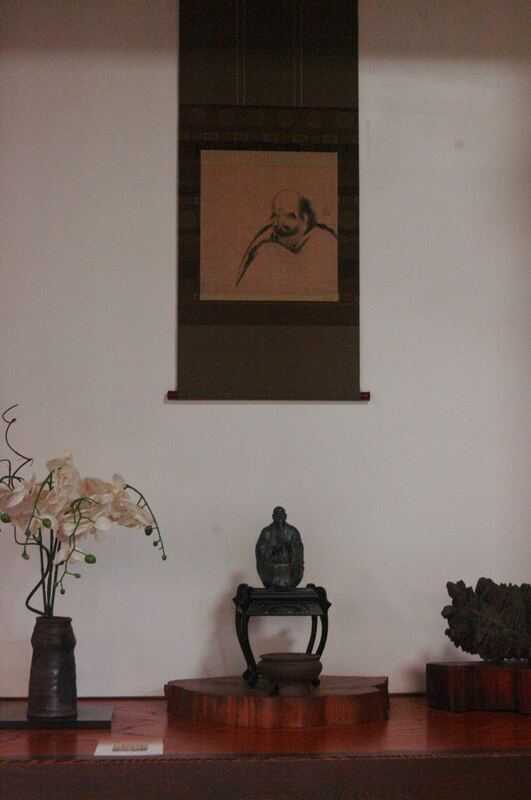 We, some of us spend some time inside one of the temple doing Zazen. Afterward we take a break outside and everyone has lunch. We can see over the city from this spot on the mountainside. 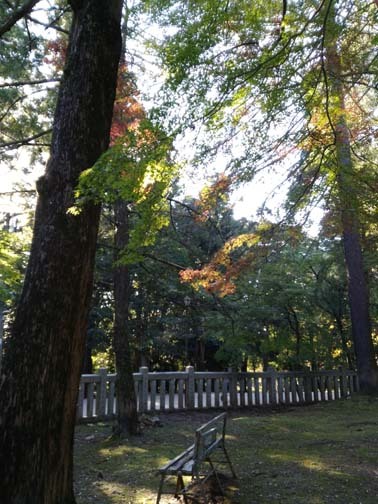 It is pleasant under the trees overlooking Nara and the surrounding area. We set off again, to another area. Up stairs, down stairs, etc etc and arrived in another couple of temples. At this time the crowds are starting to picking up. We did a little bit of playing shakuhachi along the way, but not much. We do this along the way making our way through the varied shrines and temples. Chatting , taking pictures, enjoying the day. Around 2:00 pm we stop at Sempai’s wife’s work place. There the group does some shopping for kitchen knives. We have tea, fresh-baked cakes, ice cream. 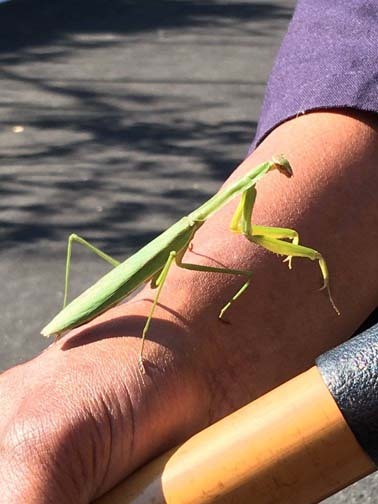 Some go outside and play shakuhachi for the passersby. Even collecting a few donations. I stayed inside and played guard over all the equipment left. For some reason, I took the responsibility of keeping track of everyone and their stuff during the journey. Watching the stuff in the shop, keeping track of everyone not getting separated during the walk. My nature I guess, I noticed I was doing it, a lot at one point on the trip. We walked more, took pictures, visited the great Buddha and just in general did the tourist thing. It was a good day. I did not wear my basket much, I hand-held it and my arm got sooo tired! That was the hardest part. But that in a way is part of the training to endure. About 4:00 the group was ready for dinner, and I was ready to catch my train back to Osaka. They went off to an “Izakaya” . Which is kind of like a bar that server food. Rather than go and get home late. I said my farewells. I headed first to a local pickle shop to pickup a few bags of fermented pickles to take home, then caught my train. This time I took the one that the travel pass worked on, so that was good. I am still hand carrying my newly acquired “Tengai” which is the basket hat worn by Komuso. 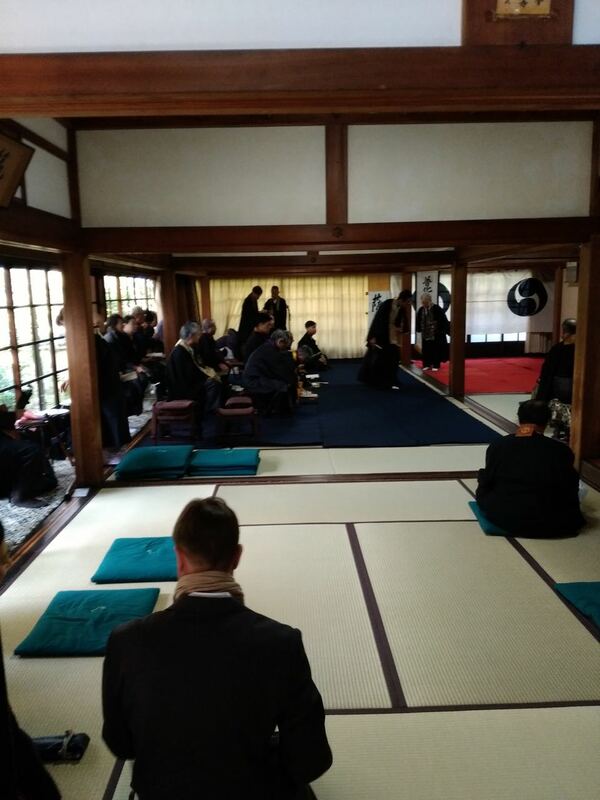 I did not wear my kimono that day, but a casual Samue, traditional Zen monk work clothes. No one really paid me any real attention. Except one group of older ladies who saw me enter the train car and I hear “a Komuso”.